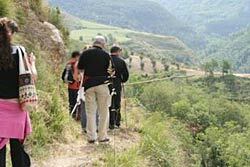 Enjoy the beautiful scenery of the Vibo Valentia region as you explore through the lush, rolling hills of the countryside in this unique walking and cooking tour. 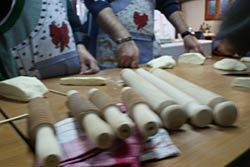 This itinerary gives you the opportunity to visit local food artisans, tour an organic vineyard and take personalized cooking classes from one of Calabrias finest chefs. 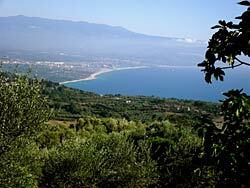 One of the most beautiful provinces in Calabria, the Vibo Valentia region boasts beautiful panoramic views. Rolling hills give way to lush valleys boasting quaint villages and hamlets with the Tyrrhenian Sea as a sparkling backdrop. Youll explore mountainous areas such as Monte Poro which towers 710 meters above sea level. 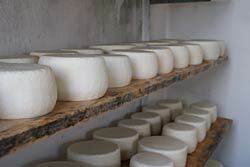 In town, youll find producers of pecorino cheese, bread makers, salami producers and other food artisans. Youll picnic in a private vineyard and cook in a rustic al fresco kitchen at a farm surrounded by olive groves and learn the secrets of Calabrese cuisine alongside our famous Tropean cook, Marianna. A walk through Calabria offers another unique experience. Youll explore an authentic, untouched part of the region as you walk along ancient trails exploring medieval churches and villages along the way with breathtaking views of the Tyrrhenian Sea, lush green hilltops and mountains. Your base is set in Tropea where youll be able to enjoy the citys center, full of restaurants, bars and shops. Tropea also sits 20 meters above one of Italys most famous and scenic beaches. 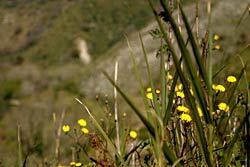 Your guide, Anita, is an experienced trekking guide and local of the Vibo Valentia province. She is devoted to exploring the beautiful region of Calabria and creating the most scenic and unique hiking routes specially for your walking and cooking tour. As you walk, Anita will introduce you to the wonderful sights, smells and tastes of the region. There is a choice of 2 lovely bed and breakfasts to accommodate you. Both are within a short distance of each other and include breakfast, a private bathroom, internet access, telephone and air conditioning. The level of this itinerary is medium. Walks can last up to 3 hours with short breaks in between. The itinerary has been carefully made, and most of the hiking is downhill with a few uphill areas. There will be a private car and driver on hand during all walking excursions. Transfer to your accomodations in Tropea. Settle in and admire the lovely medieval views of Tropea's historic center. Meet your guide Anita at the hotel. Explore Tropea's historic center with Anita and Antonio, an artist and historian. You'll be able to meet shop owners and taste the region's authentic fare like the cipolla rossa - red onions of Tropea - and the many differents jams and condiments made from this famous onion. Continue your walk along the town's ancient cobblestone streets and learn about the history of Tropea.The trail continues down to the most beautiful beach in all of Italy where you'll see the famous landmark, 'Santa Maria del Isola' which sits proudly on the sea. Enjoy a welcome dinner in one of our favorite eateries in Tropea. 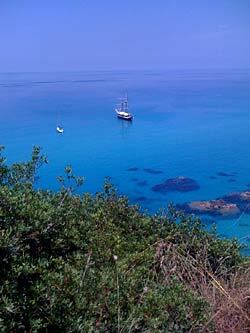 After breakfast, hike a trail towards Coccorino and admire sweeping views of Capo Vaticano. We'll walk part of the way with local friend, Giuesppe, who walks with his donkey. He'll tell you many tales from the past. Arrive at Coccorino and take a short drive to Santa Marina. From there, walk downhill to Lampazone, where you'll tour a privately-owned ancient flour mill which dates back to medieval times. We'll meet Gregorio whose family has owned the flour mill for 4 generations. He'll show how the mill functions and works - producing flour even today. 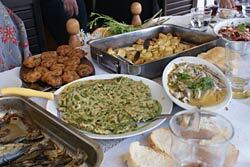 We'll enjoy a lovely Calabrian picnic lunch with local wine and contadino style frittatas, prepared by a local signora. Transport back to Tropea for a break. Late afternoon/early evening, we'll take a drive up to Sant Angelo to meet Marianna for our cooking lesson in her al fresco kitchen. You'll see Marianna's lush vegetable garden, full of fruits and seasonal vegetables, from which to select from for our cooking class. You'll make an array of recipes including homemade pasta and main dishes from fresh seasonal ingredients - some of which will be selected from Marianna's vegetable garden. 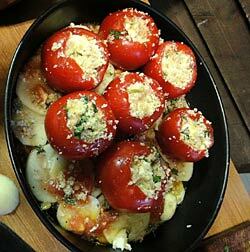 Enjoy the meal you've prepared with an abundance of wine and Marianna's homemade licqeurs. After breakfast, we'll head to Monte Poro. 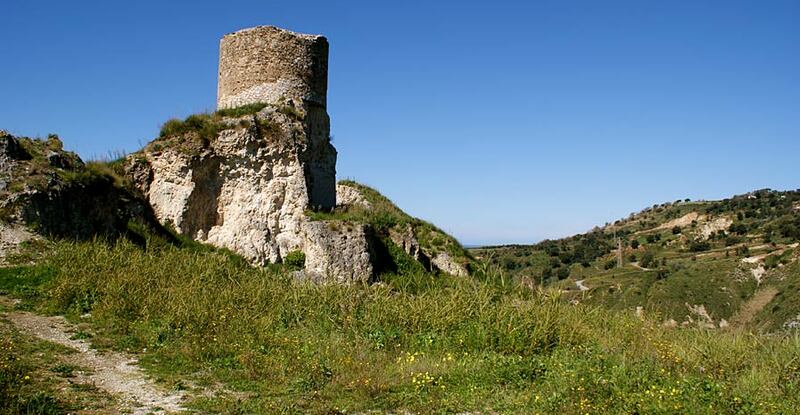 Monte Poro sits 710 meters above sea level and is surrounded by rolling hills and medieval hamlets. 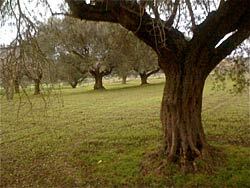 Meet Anita at the top of the mountain and move inland along a fascinating trail of olive groves and vineyards. Meet local bread producers, cheese makers and salami makers, and select what you'd like for your picnic. Try traditional pitta, a type of bread stuffed with eggplants, peppers and local grilled vegetables. 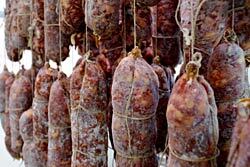 Stop at Commerconi to a local salami prcoducer, then head to the Comerci vineyard and estate. Enjoy a leisurely, 2-hour walk through green vineyards and hills until you arrive at Limbardi - an area famous for producing white wines. We'll stop at a noted organic vineyard and partake in a wine tasting. Then, you'll savor your picnic lunch overlooking the vineyards beautiful scenery. Dinner at a local pizzeria, specializing in wood-fire, brick oven pizzas. After braekfast, we'll head to Caria, a small village located 10 minutes north of Tropea. You'll have a guided walk with Leo, who designed this special trail through Caria. Take in sweeping views of the coast as you descend into a small rain forest with waterfalls, small rivers and many rare plants only grown in this region. Lunch is on Leo's farm among olive groves and hills, where his mother will make pignate - a typical bean dish famous because of Caria's legume production. 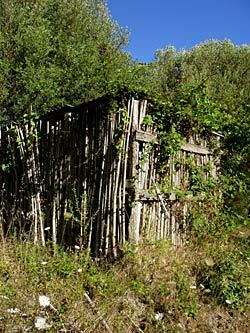 Your trek starts in Palmi where you'll hike through a grove of chestnut trees along an ancient stone path that was once built for villagers traveling by donkey. You'll pass a small bridge and arrive at a beautiful forest which lends way to spectacular views of the Calabrian coast below. From the forest, you'll continue on to Monte Elias. A short walk to the top and you'll arrive at a family run trattoria. Enjoy lunch at this local eatery. After lunch, we'll stop to visit an ancient church of Monte Elias, built to dedicate the life of the monk Elias who lived as a hermit in the 17th century. From there, we'll descend back to Palmi along ancient wooden steps. Spend the morning at your own leisure. The afternoon will be spent walking in Briattico Vecchio - a historic, abandoned town destroyed by 3 earthquakes, the last of which occurred in 1905. The walk starts in a small town called St. Constantino. We'll follow the trail downhill toward a small valley then climb uphill to the Rupe of Briattico Vecchio. Today many archaeologists explore remnants of the town still yet to be discovered. We'll explore these ruins and walk through this abandoned area once known for its production of licorizia. Next, we'll continue uphill toward St. Cono. This town is tucked away in the hills of Briattico and boasts beautiful scenic views of the sea. From there, we'll meet In Italy Tour's local friend, Caterina, and her family who will prepare a wonderful Calabrese lunch, including the family's homemade bread, olive oils, wine and farm raised meats. Transfer back to Tropea and enjoy some downtime for the evening. After breakfast, enjoy the morning at your own leisure. You can relax on our favorite remote beach in Zambrone, where you'll discover a pristine rock beach with crystal water and centuries-old caves. Transport will be provided to Zambrone. Or enjoy a relaxing massage (available by request.). Spend the late afternoon cooking followed by your farewell feast with Marianna in her kitchen in San Angelo. Dance to the sounds of live folk music as a perfect end to the evening. Transfer to airport or train station. Contact us for 2019 prices. 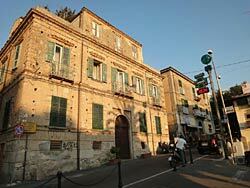 8 days, 7 nights in a lovely bed and breakfast in the center of Tropea. Transfer to and from the airport or train station. Private English-speaking tour guide throughout your stay. Private driver during walking excursions. All meals specified on the itinerary. 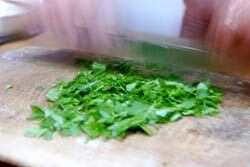 2 cooking classes in Tropea. 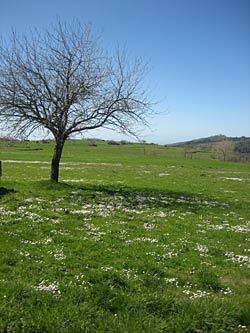 Guided walk through Caria and private lunch at a local farm. Wine tasting in a private organic vineyard in Limbardi. 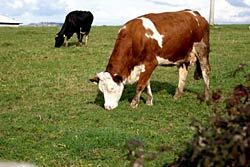 Guided walk in Monte Poro with picnic lunch included from local food producers along the way. Guided walk to Palmi with lunch inlcuded. Entrance to a privately owned flour mill in Ricadi with a personally prepared picnic lunch by a local signora from Capo Vaticano. Guided evening walk in the historic town of Tropea. 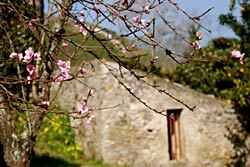 Guided walk to Briattico and to the abandoned village of Briattico Vecchio with a personal lunch included in a private home. All entrance fees to places listed in the itinerary. Visit to a private beach in the Vibo Valentia area.